Strengthening the Links between Human and Animal Health - An Exercise in Journal Collaboration, Martin Alder, Head of Publications, The Veterinary Record, In Practice, London, UK. Brief Presentation by Profi Press Ltd, Prague, by Ing. M. Sedlacek, CZ. 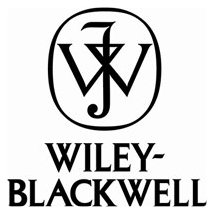 The Society, the Editor, and the Publisher - Building a Mutually Beneficial Partnership, Stephen Wymbs, Senior Journal Publishing Manager, Blackwell, Oxford, UK; Suzanne Albrecht, Journal Publishing Manager, Blackwell, Berlin, Germany.